Car accidents are traumatic events. Even if the accident is minor, it can still result in injuries. But, serious accidents can be devastating, resulting in injuries that can be life-altering. Serious injuries can result in thousands and thousands of dollars in medical bills as well as bills for rehabilitation and in-home care. They can affect your ability to earn a living, both in the present as well as in the future. If you’ve been in a car accident that has resulted in an injury, it’s important that you engage the services of an attorney to ensure that you get the compensation for both economic and non-economic damages that you need to protect your financial interests now as well as to provide for your financial needs in the future. 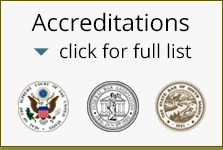 There are different types of attorneys, specializing in different practice areas of the law. In cases involving car accidents, you need to hire an attorney that specializes in personal injury law and that has extensive knowledge and experience when it comes to car accident cases. A lot of time and effort goes into negotiating a settlement with an insurance company or taking an accident case to court. The type of attorney for a car accident victim should be an experienced attorney who has dealt with all types of claims and is knowledgeable when it comes to dealing with insurance companies as well as gathering all of the evidence necessary to support your claim. This includes witness statements, police reports, medical records, hospital bills, and lost wages information, all of which become part of the official case record. At Rapid City Law, personal injury attorneys, Greg Yates and Michael Shubeck, have more than 40 years of collective experience in the field of personal injury law and have a proven record of success when it comes to winning car accident cases and earning fair and equitable compensation for clients. Mr. Yates and Mr. Shubeck are very knowledgeable about South Dakota insurance coverage and working with insurers regarding negotiated settlements. While the majority of personal injury cases are settled out of court, in cases involving severe injuries, there may be a significant difference between the proposed settlement and the valuation that an attorney places on your case. In these types of situations, it’s necessary to file a lawsuit and have the case go to trial. If you’ve been injured in a car accident, hiring an experienced personal injury attorney who help advise you as to whether it’s appropriate to negotiate a settlement or have your case go to trial should be your top priority. Over the years, Rapid City attorneys, Greg Yates and Michael Shubeck, have successfully recovered millions of dollars for victims and their families through negotiated settlements, jury verdicts, and awards. Check out our website to learn about the top 10 things a personal injury attorney can do for you. Then, contact our office to schedule your free consultation.